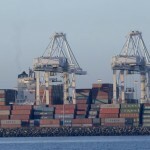 At the two largest container ports in the US, June marked the beginning of what is expected to be a weak peak season for shipping. 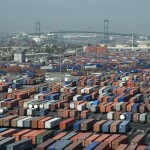 The neighboring Ports of Los Angeles and Long Beach, which make up the largest container gateway in the U.S., last month imported 669,149 loaded 20-foot equivalent units, a standard measure for container cargo. That was essentially flat—up 0.5%—compared with June 2015. On the export side, the Southern California ports handled a combined 268,660 loaded TEUs, down 1.1% from the same month last year. 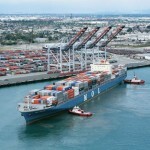 Over all, including empty containers, year-over-year volume was down 2% at the Southern California ports in June. “I call it the traditional June swoon,” said Jock O’Connell, an international trade economist based in Sacramento, Calif. He said on average, June tends to be a slower month. 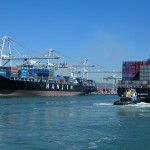 Month-to-month, from May, both exports and imports fell steeply at Los Angeles and Long Beach. 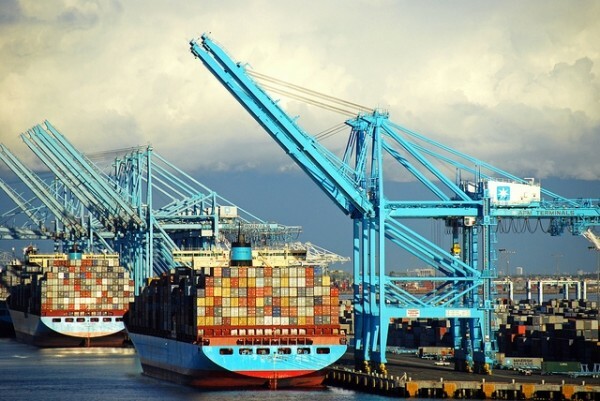 The Southern California port complex handled 8.5% fewer containers on the import side and 10.8% fewer exports. Still, it doesn’t appear the next several months will bring about much of an uptick. A National Retail Federation forecast on Tuesday said the midsummer and early fall months, which encompass “peak season” in the transportation world, will be close to flat or negative compared with last year. The Global Port Tracker report, released monthly by NRF and research firm Hackett Associates, estimated import cargo across the nation’s major ports would be up 1.4% year-over-year in July, then down 2% in August and down again 2.6% in September. 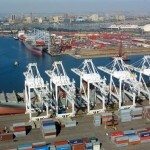 The logistics industry has clung to that hope all year as port volumes have waned alongside employment in the sector. 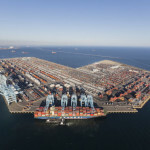 For more than a year, industry leaders—including the directors of both the Ports of Long Beach and Los Angeles—have cited sustained high inventories in retail and manufacturing warehouses throughout the country as a reason for a generally flat performance. Mr. O’Connell said he is skeptical of that theory. “Are companies making some really poor decisions about the management of inventory, or is this just an illusory phenomenon we’re tossing out because we don’t have better explanation for the sluggishness of U.S. imports?” he said.